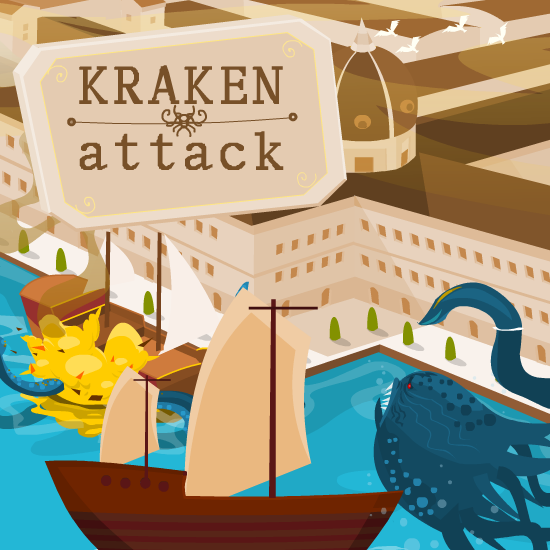 Move Kraken using arrow keys. Jump on to the boats to destroy them. You will get more points if you chain the destruction. Use SPACE to eat dolphins and bite on flying machines. Jump to the flying machines and bite on it. Then use DOWN arrow to pull down and destroy. Dive to the very bottom and then press UP to jump higher. Watch for fire blobs and avoid them.